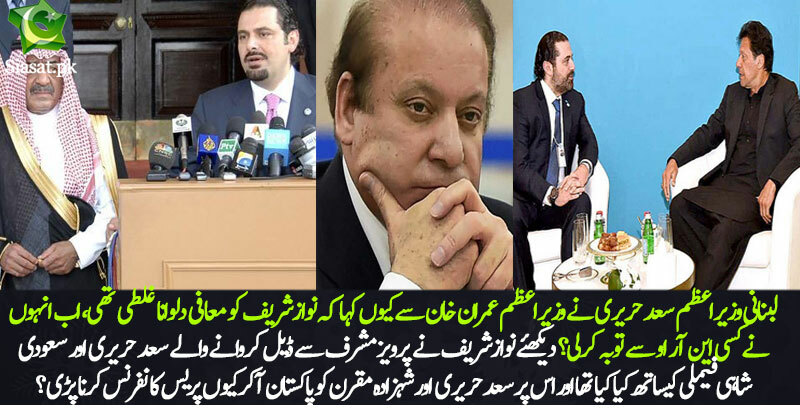 Blast From The Past : Saad Hariri Ne Sharif Family Ko Naya NRO Dilwane Se Kyun Tauba Ki? there is only one option left for this haram tubbar and that is to become another sheikh mujeeb and hasina!! just like that suwar used to talk about it pre elections. And patwaris are under some delusion that everybody is still pressuring Pakistan for ganjus NRO. that haram is not going to give his voters flats in London and offshore accounts. They will remain worse off selling their future and the future of generations to come for a plate of biryani or keema naan. their kabaria leader only gets richer and the people are guilty of that. It pains me to see a so many jahil followers who are still where they are financially, morally and ethically yet this tubbar has engulfed the fat of the land. Well jaisay log waisa leader, woh patwari khud bi corrupt hain issi liye corrupt logon ko vote dete hain. Aur yeh koi nai baat nahi ke yeh log railway ki patrriyan aur gutter ke dhaknay chori ker ker ke ameer howay hain. i remember people in Lahore calling him kabaria, gutter dhakan choor and believe it or not gutter dhakan theft was high in the early 90's! those people who used to say this became his voters. i went back to Pakistan after a very long time and they were no better off. They were far worse off than before. but their mian has 10 of billions of dollars in wealth. its a strange phenomenon people know he is a crook and yet they defend their mian "khanda hai te landa vi hai" i guess its true he eats the fat of the land and takes a dump on a plate and puts it in front of his followers!